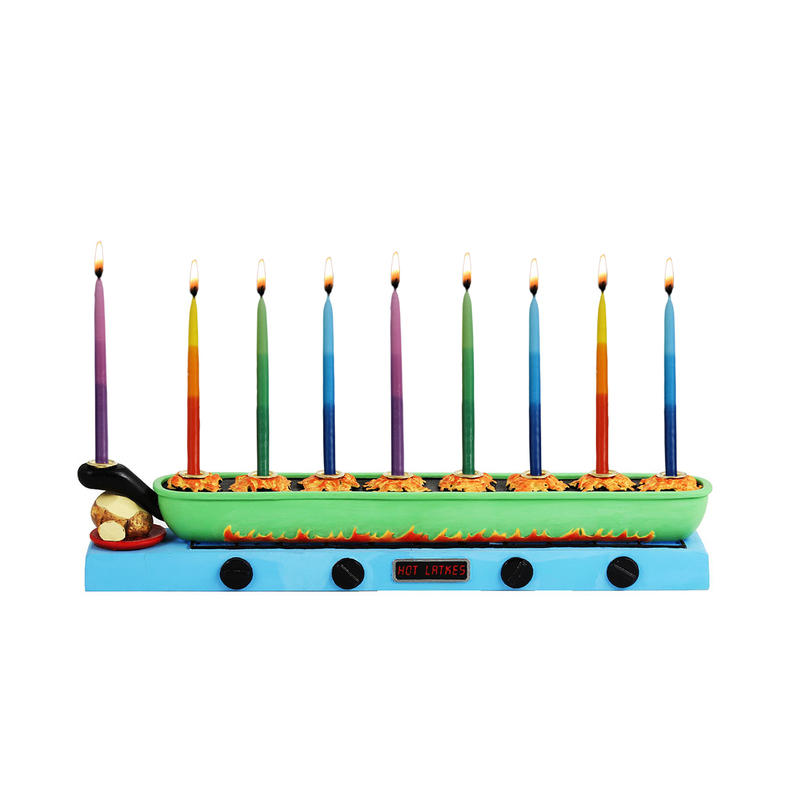 Latke Pan menorah. An absolutely adorable and whimsical creation featuring latkes in the making. Hand molding and painting to the finest detail, the design spans thru all sides of the item. WOW! BLACK FRIDAY DEAL 35% OFF!